There are people all over the world who are looking to start a successful business but are still not sure which industry to venture into. Just like anything else, some industries are better than others and will make a business owner more money, especially as society evolves. Here are the top 5 industries to break into for a promising chance at an excellent business. Technology is an industry that is taking the scene by storm. And it's no surprise why: it is everywhere. There are countless activities that were once done by hand and are now accomplished through technology. They are even using “robot” hands in surgeries, in place of a surgeon’s hands, as it is more precise and reliable. Computers that were once heavy with numerous wires attached are now handheld, wireless devices that can even fit in your pocket or travel bag. What the people in the technology sector have realized is that all devices have room for improvement and futuristic changes. Now, in order to make it in the technology industry, you have to create something that has either never been done before or make it unmistakably better and more convenient for the user. What consumers are looking for is a seamless experience that saves them time, so that is the best place to begin in creating your technology-based business. The health industry is endlessly changing, creating diverse opportunities for aspiring entrepreneurs. In healthcare, there are plenty of different fields that you can try your hand in. From managing health data to personalized healthcare to biotechnology, and many more. Though there are many chances in this industry, there are also a lot of factors involved. Healthcare entails a lot of research or schooling. You can't just wing it and hope for the best, because people’s lives are in your hands in some kind of way. Even if you're just inputting data, someone down the line will use it, so it is imperative that it is accurate. To create a successful healthcare business, it simply has to help. Whether it be financial expenses or the actual care of the patient, it has to assist in making the people’s lives easier. The media industry, compared to the others, is fairly new. This industry is taking over the world in a way. There are many different forms of media that are considered. For starters, there are various kinds of television streaming services, like Netflix and Hulu. 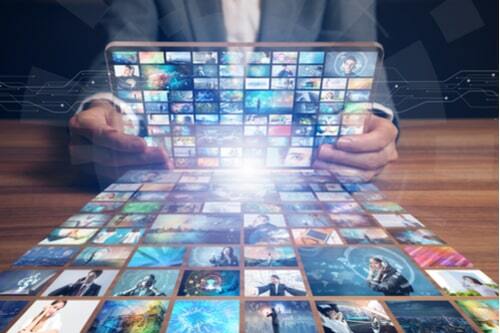 People initially went crazy over streaming services, blowing off their responsibilities and binge-watching their favorite shows until the late hours of the night, which keeps the business subscription rate a steady, high number. Other activities within the media industry that are growing rapidly are video games and virtual reality games. The customers, or “gamers”, want the games to be more realistic, gruesome, and hands-on, so that is what the developers give them on every new release date. Lastly, social media is influencing people in a huge way. Almost anyone you meet will have a social media account, and at least half of those people bring it into their everyday lives, wanting to be “influencers” on social media platforms like Instagram. The media industry is good to work in because it’s still growing, even years later. All of the aspects within media are ever changing and becoming more intriguing daily. The hospitality industry is something that will always be needed. Hospitality entails restaurants, hotels, Airbnb, leisure activities, and more. These are all amenities that people will use or need at least once in their lives, but most likely more. Restaurants are places where people go frequently, some even a couple times a week. Whether customers go for a meeting, date night, a birthday, or just a spontaneous dinner with their family, restaurants do not seem to be going away any time soon. It is always going to be something a large sum of people will be interesting in, especially on the weekends after a hard work week. Hotels are also needed quite often as well. There are hundreds of people at the airport every day, traveling to and from cities. A lot of those people need a place to reside. That is when they make a reservation at a hotel. Hotels are a steady, billion dollar industry. They are without a doubt a necessity for many. The smartest way to start up a business in this industry is to do some research, and decide which route you want to go. When starting the business, you have to make intelligent decisions, because while the hospitality industry is worth an obscene amount of money, there are also a lot of entrepreneurs who try to become successful in this field and fail. You need to set yourself apart from the thousands of restaurants or hotels in the world in a surprising, appealing way. Transportation is becoming more convenient and safe throughout the last couple of years. For those of society who do not drive, transportation has grown from their only choice being the bus or subway, which can be dangerous and time-consuming. Developers have created apps such as Uber and Lyft, that are convenient ways to go from point A to point B. Also, unlike taxis, they are able to be tracked if the driver seems a bit suspicious. You are given a flat rate from before you even get in the car, too. Another exciting, futuristic thing happening in the transportation industry are driverless cars and anything that assists them in the process. 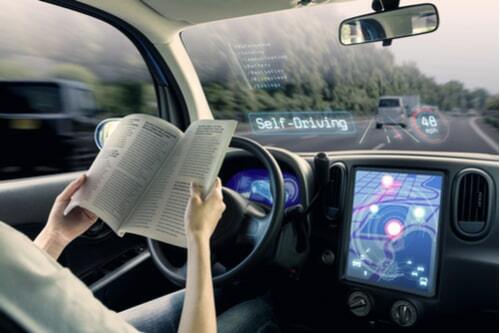 The driverless cars help people who may be unable to drive properly or can work as a cool upgrade for the customers who are just sick of driving regularly. This project alone is a trillion dollar industry. If you are knowledgeable in car remodeling, or programming then this is the industry that you should be in. In your startup business, it may take a while for your idea to be recognized because there are so many people with many great ideas, but if you stick with it and grow with the industry, there is no reason why you should not be accomplished in it. Set yourself apart from the crowd and your business will flourish. Business can be hard to start up. There are so many people trying to break through the threshold and do just as you are, but with the best industries for your startup at hand, it should help immensely. You can decide what you would like to do with which industry, and figure out how to create a business like no one has ever seen before. Following that, you can decide how you will fund your business. For a startup, you may need to reach out for personal business funding, as it is difficult to receive business funding with no revenue coming in. If you meet all the qualifications necessary, it should not be hard to be granted the personal business funds you need. Now that you have an idea of a reliable industry for your business and funding, you can become the best entrepreneur that you can be. Best of luck on your small business journey!